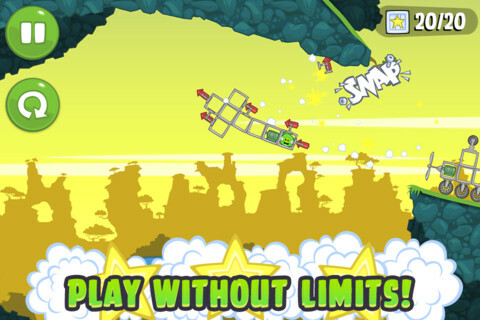 Angry Birds has been an iPhone phenomenon ever since it launched for iOS. 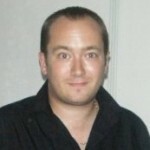 The developer Rovio have released the cocky avians on just about every format imaginable, but it remains most associated with the iPhone and has sold millions of digital copies on both iPhone and iPad. It has spawned several sequels, including the regularly updated Seasons, the HD iterations and the closest thing to a straight sequel so far, Angry Birds Space, which we absolutely loved in our review. 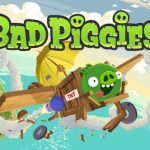 Bad Piggies is more of a franchise sequel than a direct follow up to the original, and follows the story of those evil green pigs that always cause the winged wonders so much trouble in the Angry Birds games. 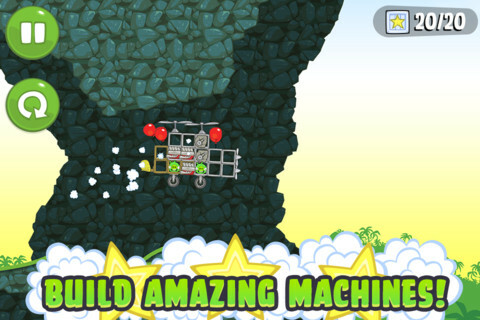 Bad Piggies is a very interesting game. 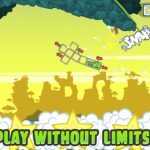 A cross between a traditional Angry Birds game and Banjo Kazooie Nuts and Bolts, Bad Piggies sees you building and piloting crazy contraptions in a 2D, side on world that has a distinctly Rovio look and feel. The music is also classic Rovio. The aim on each stage is to get the green pig(or pigs) to the exit, which usually hides a map piece. Along the way there are some collectibles, such as star boxes, which all goes toward the amount of stars that you get awarded on each level, as does fulfilling certain requirements, such as not using any wheels, for example. There are also some hidden skulls and bones scattered around some of the levels. These are usually very hard to get to, but it is important to remember that you don’t have to complete the level to keep the skull, as the game remembers if you have found one even if you immediately restart, making those crazy runs to get them a little bit less crazy. 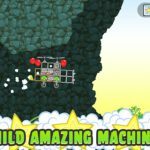 You have a block of squares with which you can build your vehicle, and you get different parts on each stage, from simple building blocks and balloons to wheels and rockets. It is a careful consideration of what parts to use where that will get you to the exit, and my advice is to pay particular mind to where you place the pig, as his weight does have an effect on movement. Sometimes, when building the perfect vehicle, it can be good to remember that less is more and that the only part you must use is the pig himself. A lighter, faster vehicle can sometimes get you to places otherwise impossible to reach, as can going the wrong way at the start of the stage. The stages soon get really complex, and more rewarding for the experimental player, with some staggeringly difficult level later on, but if you keep to the ‘less is more’ mantra you will do well here. There are 72 stages, with 18 more to be unlocked, Game Center integration, loads of machine parts to find, and 4 fantastic sandbox levels, which is no doubt where many of you will be spending your time after they have been unlocked. There is a mechanic you can hire to build a vehicle for you on each stage. This is the IAP portion of the experience, although you do get three free uses of the mechanic for ‘liking’ the game on Facebook. The only negative about the game is that a lot of the devices on the contraptions perform similar functions, and despite the brilliant later levels, it all does rather run out of steam after a few hours, with only the great sandbox levels likely to keep you coming back long term. Still, this is a brilliant release from Rovio, better than many of the Angry Birds games and shows that success has not dampened the creative spark in the team just yet.